The key to successful business management is to make your customers always want to come back and deal with you. 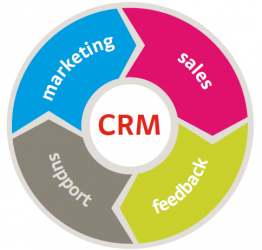 You first have to set goals that you want to achieve through your relationships with your customers, because your CRM approach is supposed to match your customers’ needs. Studying the needs of your customers gives you the opportunity to determine what they are looking for and how to offer them to establish strong links between you and your customers. You must make a structured approach to communicating with them that matches your goals with the needs of customers and should give great importance to collecting and organizing customer data. Building integrated management.